4 OZ Rust Guard, Time Released Toilet Bowl Cleaner. 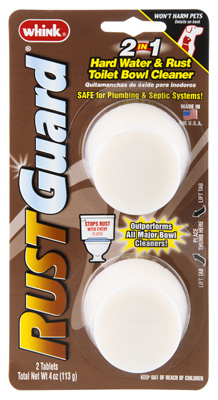 Prevents Rust With Every Flush, Protects Toilet Against Rust And Hard Water Stains. 2 Tablets Per Pack.